I've been making a bit more progress with wedding plans. I can't believe it's only 4 months away! I'm so stress-free though because we are keeping it simple. So the invitations were actually really fun to make. The total cost was less than $40. 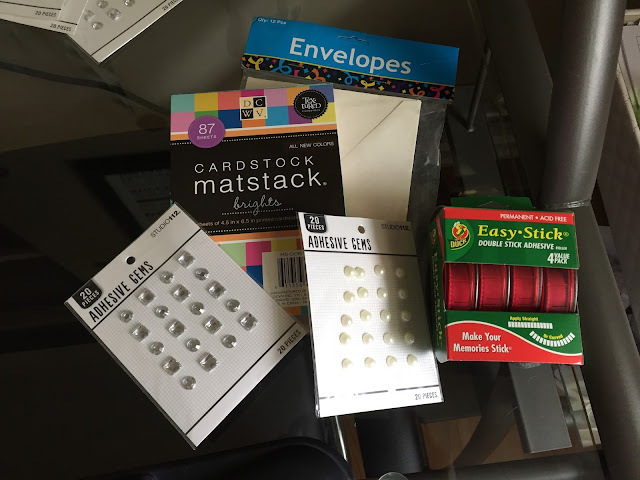 All I had to buy was cardstock, tape/glue, gems, and stamps. I won the envelopes in a giveaway for a gift card to a party supply site. And the gems were all on sale at Jo-Ann Fabrics. 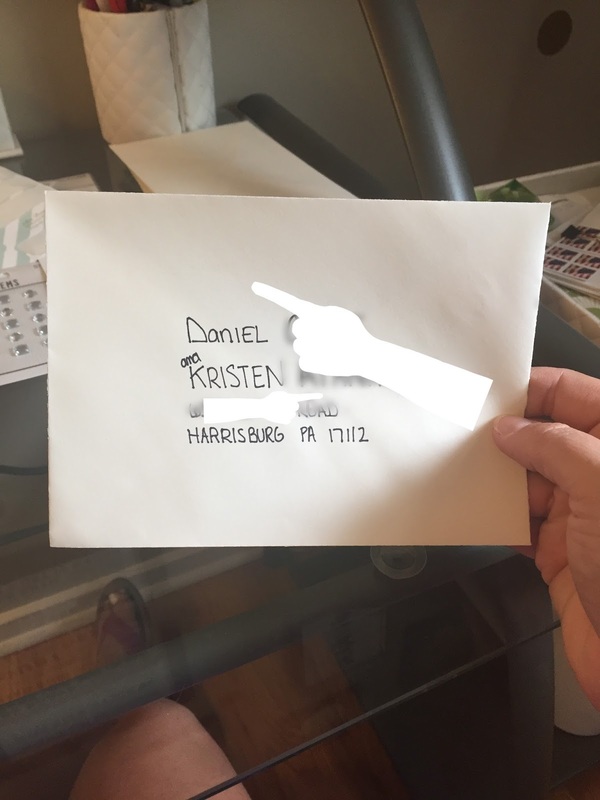 I can't wait for this aprt though - I did the most amazing thing when it came to writing out the addresses on the envelopes. Normally, my handwriting is horrible and I can't stay on a straight line. That's where The Lettermate comes in. 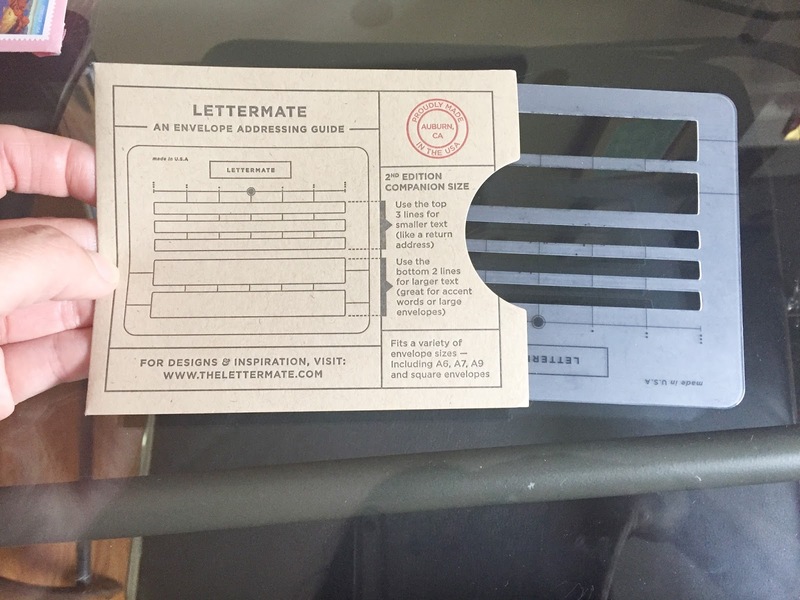 The Lettermate is this ingenious tool that helps you write addresses in the right spot, in a straight line, and with neater handwriting. 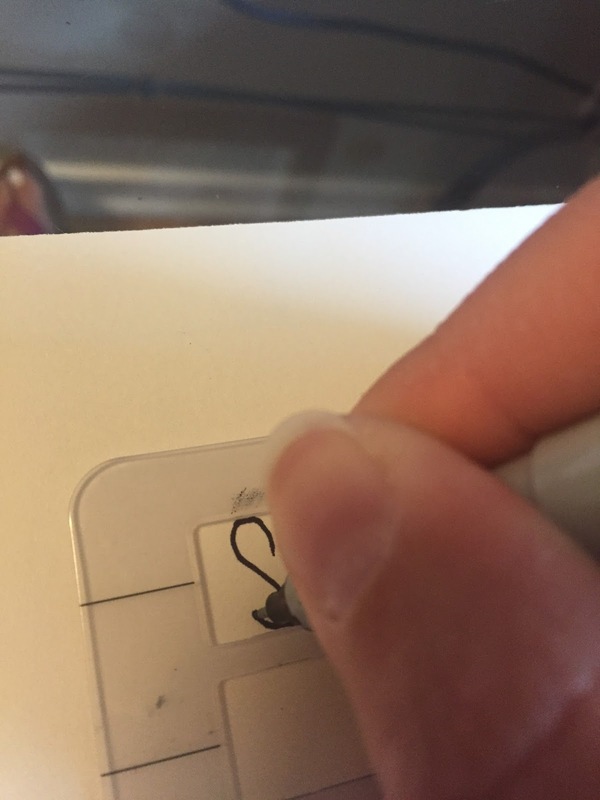 You just line it up on the envelope and there are spaces for each line. The bigger lines can be used for the city, state, and zip or you can sue them for the names at the top. Honestly, the moment I began to use it, my handwriting was straight and neater than it's ever been! Here are our invitations. 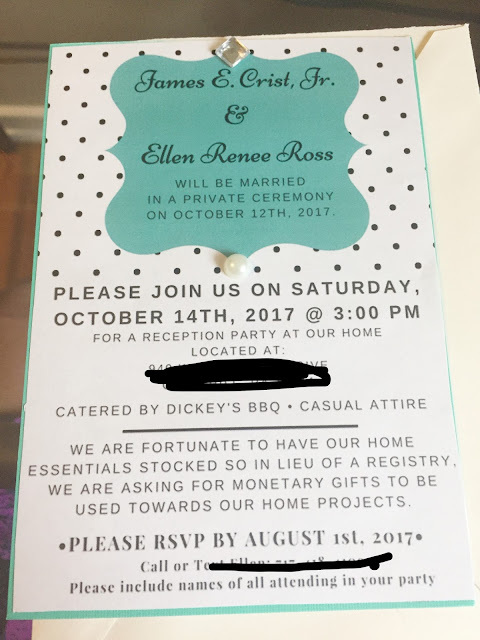 I made them with Canva, like I did the Save the Dates. Then I printed them out, cut them, and glued them onto card stock. On the back I included parking instructions. Then I added two little gems (self stick) and VOILA! So we decided on the menu for our BBQ food from Dickey's. The two main meats are Pulled Pork and Chopped Brisket. I figured pork and beef are great options. Then you get to pick 3 sides so we decided on Barbecue Beans, Potato Salad, and Caesar Salad. I can't freakin' wait!!!! Some of my close friends convinced me to still make a registry, just to use for the wedding shower. So I decided to add some essential items from Target to a registry and I was very reasonable with price. Seriously everything's like $20 or less with the exception of maybe 2 big ticket items? I see brides add super expensive things to their registry and I just can't do that because I like to keep it practical. So this has been really fun so far. I think the most work I had to do was the invitations. Now to sit back and wait for the RSVPs to come in. 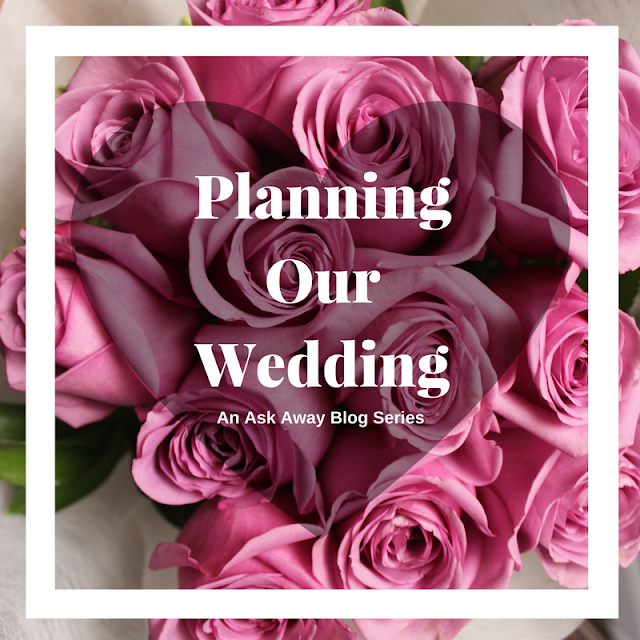 Stay tuned for next month's wedding updates! You did a great job with the invites! My daughter just got engaged and their wedding is planned for October 2018. I'm looking for fairly cheap ideas to keep the wedding within a reasonable amount. I like the invites you made and may go with something like that for her wedding.